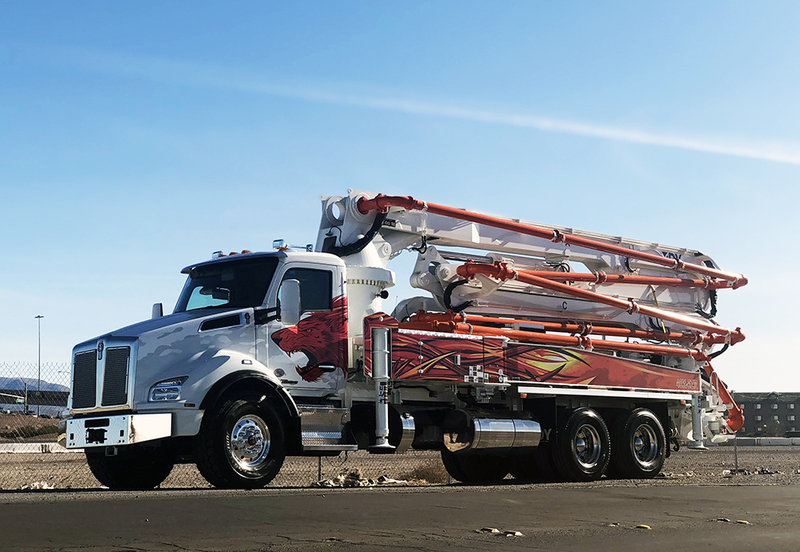 Maximum versatility is the defining characteristic of our 40-meter concrete boom pump which maximizes the three axle chassis with the longest boom reach possible creating a lower truck chassis cost. As with our 38– and 43-meter booms, the mid-size ZR boom pump is perfect for residential and commercial concrete pouring projects. Featuring a 360-degree continuous swing boom, the 40X-5ZR is highly maneuverable and can reach places that are inaccessible to less agile machines. Your crew will be able to complete jobs faster and more efficiently, which will have a positive impact on your company’s bottom line. Designed for easy mounting on truck chassis manufactured by Peterbilt, Mack, Western Star, Kenworth and Freightliner. Five-section boom articulation gives you the flexibility and maneuverability to work freely in confined areas — the 40X-5ZR is more versatile than any competing mid-size 40-meter concrete boom pump on the market. User-friendly HBC remote makes operating the ZR boom pump a breeze. Extensive horizontal reach capacity enables your workers to park the truck on harder surfaces, eliminating the risk of getting stuck in the mud. Your vehicles will remain cleaner during pumping and you won’t be dragging and dropping mud all around the worksite. Exceptional vertical reach capability is ideal for pouring concrete into the high privacy walls used in many residential construction sites and neighborhoods. The 40X-5ZR offers a maximum horizontal reach of 117’ 5”. 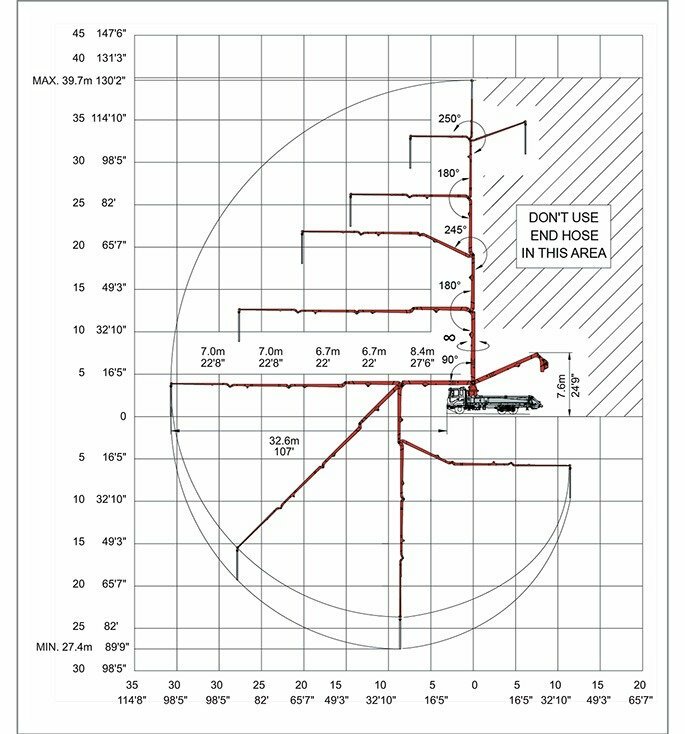 The reach capacity from the front of the vehicle is 107′, while the reach depth is 89’ 9” and the total unfolding height is 24’ 9”. Other specs include an end hose length of 11’ 6” and a hose diameter of 5”, a hydraulic system pressure of 5,075 psi and a material cylinder diameter of 9”. Why Choose DY Concrete Pumps as Your Residential/Commercial Pump Provider? DY Concrete Pumps offers more than 30 years of end user experience and expertise to construction operations throughout North America. 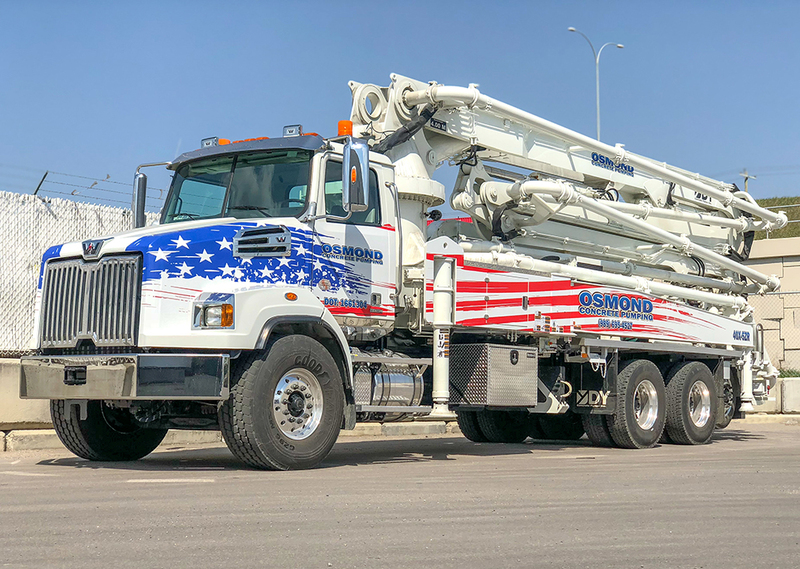 We’re known for providing top-quality concrete pumps that are reliable and easy to use, which saves our customers time and money. The high quality of our concrete pumps also ensures minimal preventive maintenance and repairs, resulting in low long-term ownership costs. We also take pride in delivering exceptional customer support. With convenient locations in Tampa, FL, Dallas, TX, and Calgary, AB, we’re able to provide fast, attentive service to our entire North American customer base. Whether you need replacement parts, telephone technical support or in-person service from our regional teams, we’ll always be there when you need us. 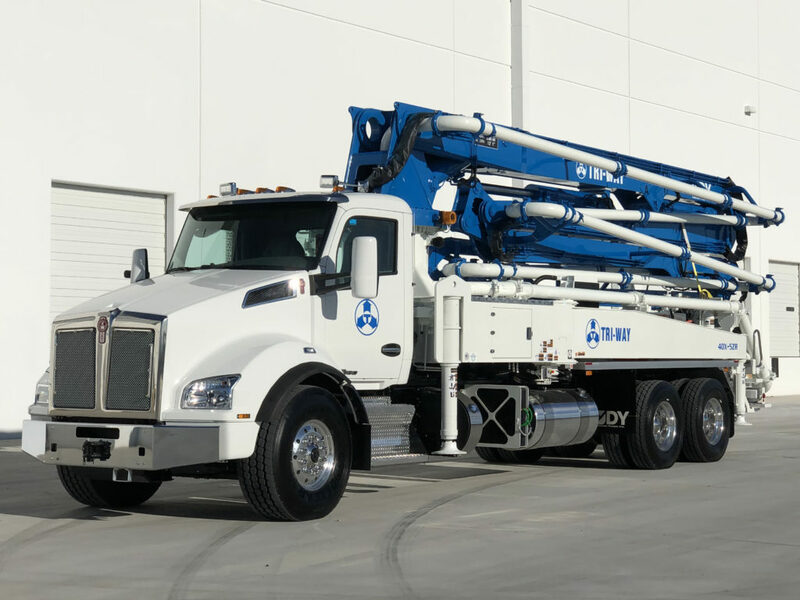 If you have questions or would like additional information regarding our 40-meter concrete boom pump, feel free to fill out and submit our convenient online contact form and we’ll provide a prompt response. We’ll also be happy to furnish a no-obligation custom quote. DY Concrete Pumps: Taking Utilization to a New Level.